for school but for life"
The Seahorse Class are for children ages around the age of 3 and they stay here until age 5 (Grade00). In this class that children work independently and in small groups. The directress (teacher) directs the activities of each child through observation and preparing activities to serve the sensitive periods of each child. 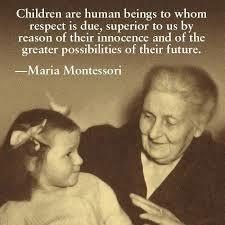 We have a wide range of Montessori didactic materials, toys, educational toys, books, puzzles etc. Individual activities – to develop concentration, independence and order. Group activities and Ring time – promotes social skills and respect for others. Music time – we sing, dance, play instruments and learn to appreciate music. Creative activities – Painting, drawing and lots more to encourage individual expression. Story time – for developing listening skills and vocabulary. Outside play – development of gross motor skills. Playball - extramural activity paid for by the school. Little Muso's - extramural activity paid for by the school.